The current digital advertising model is a broken system that only benefits intermediaries, with Google and Facebook taking 73% of all ad revenue. Conversely, ads and trackers cost internet users as much as 50% of their mobile data every month, reduce battery life by up to 21% and violate privacy. Furthermore, publishers see only a small portion of ad revenue while advertisers suffer from fraud and ad blockers. 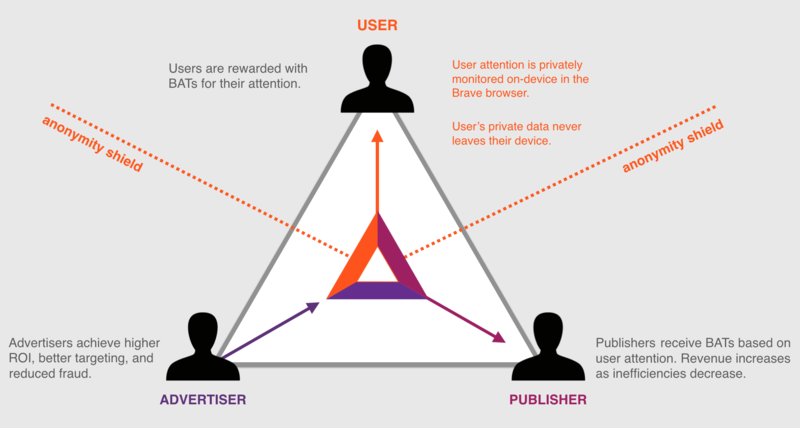 The Brave browser is aiming to solve these systemic problems by creating an entirely new digital advertising ecosystem that puts power back into the hands of users. 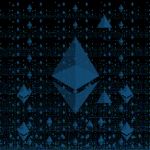 At the center of it all is the Basic Attention Token (BAT), an ERC-20 token on the Ethereum blockchain that enables users, publishers and advertisers to efficiently and fairly exchange value in return for viewing or producing content and ads. Brave blocks all ads and trackers by default, which greatly speeds up loading times and improves privacy for the user. However, you can still change your preferences to allow specific ads and trackers on sites of your choosing. In return, you can recieve BAT tokens from advertisers. Brave Payments anonymously tracks what sites you visit and how long you spend on them. You can then choose to reward publishers for producing great content by making a monthly donation. Find out more about the ecosystem in our detailed Brave browser review below. The Brave Browser and associated ecosystem is truly an innovative and revolutionary idea. Should enough people adopt the platform, users, advertisers and publishers stand to gain significantly from the projects vision. What Brave falls back on in terms of design and extensions, it makes up for in privacy and security, with a plethora of built-in features to users stay safe whilst browsing. 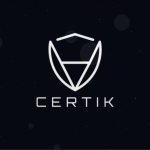 Though the project may still be in its early stages with a few glitches here and there, we look forward to seeing how the entire ecosystem develops in the future. From the user perspective, the greatest advantages of Brave currently seem to be for mobile. Given that up to 50% of monthly data goes to loading ads and trackers, which in turn can reduce battery life by up to 21%, Brave for mobile can save both time and money. On average, pages load up to 8x faster! That said, Brave on desktop is 2-3x faster than Chrome or Firefox. Users not only save, but can actively earn money through opting in to view ads, receiving 70% of advertisers profits - though the full release is not live yet. Publishers also stand to gain as users can now directly reward them for producing good content - though they do not have to. This creates an entirely new revenue model that moves away from often irrelevant ads, thus improving user experience. Brave are working hard to make the move from existing browsers as seamless as possible, allowing users to import settings directly. You can also sync settings across devices. Security and privacy are at the forefront of Brave's vision, offering unparalleled levels of built-in user control. For example, you can configure settings to automatically clear cache, history, cookies etc on close, easily control your Brave Shield settings to block/allow ads, trackers, scripts, etc on a page, site or browser wide basis. Brave automatically upgrades all HTTP to HTTPS where possible, and browsing data is stored on your device not servers. What's more, private tabs opening as TOR by default is on the roadmap! The code is all open-source and available on GitHub for anyone to verify. Brave has some great features, but where it really falls short are extensions and plugins. Currently there are only 9 available, which includes important extensions like Metamask and LastPass, with an option to suggest additions. However, it doesn't even begin to compare with the 1000s of extensions available in the Google Play Store. Whilst this is probably a move to protect privacy, it is also likely one of the major reasons why users would stick to current browsers. Lots of the features are still in Beta mode, which prevents Brave from realizing its full potential. For example, we could not find a way to transfer funds out of Brave Payments, you can only transfer them in. Another example is the Brave Ads program for users to earn BAT tokens which is currently still under trial. Given this is one of the main features that will draw users to the ecosystem, we are surprised development of it did not take priority. That said, we do accept that these negatives are really only permanent and will update our Brave browser review once full versions are released. In some areas, we felt the design of the Browser lacked continuity and could use improving. Navigate to Preferences and the design is sleek and modern, with a rounded look and feel. However, the navigation bar and tabs don't reflect the same aesthetic. We felt the design here was boxy and outdated - reminiscent of old versions of Windows. This might just be a personal gripe, but we would like to see the flare in the Preferences page applied to all areas of the design. We first used the Brave Browser several months ago and did encounter some bugs. For example, randomly tabs would break and we could not open or close them without restarting the browser. However, many of these early issues seem to have been ironed out on revisiting the browser, but we still think it is worth mentioning. Although, it is to be expected with early tech.